Download the 1st archive of the Auditor General’s Department website, taken on 31 December 2017, here. Please note that this ZIP file is large, coming in at around 6.2Gb. Download the 1st archive of this site, taken 31 December 2017, here. The Ministry of Finance / Treasury website is located at http://www.treasury.gov.lk. Download the 1st archive of the site, taken on 31 December 2017, here. 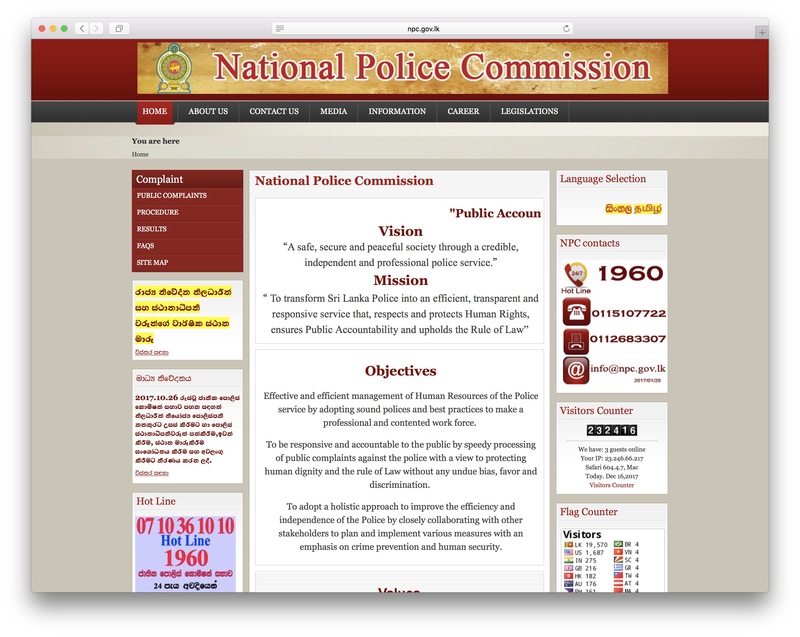 Download the first archive of the National Police Commission of Sri Lanka here, taken on 14 December 2017. 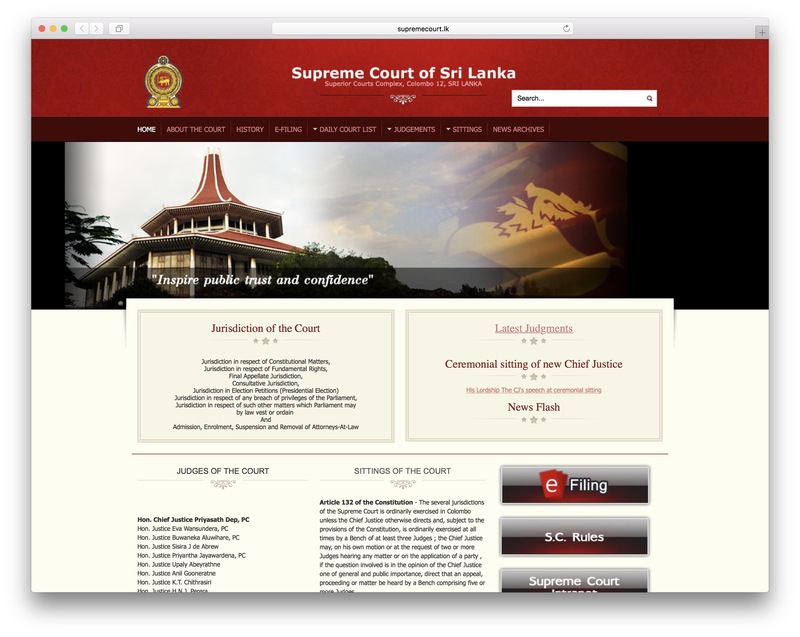 First archive of the Supreme Court of Sri Lanka, taken of 7th December 2017. Download it here. Download second archive, taken 6 May 2018, here. Download third archive, taken 3 October 2018, here. 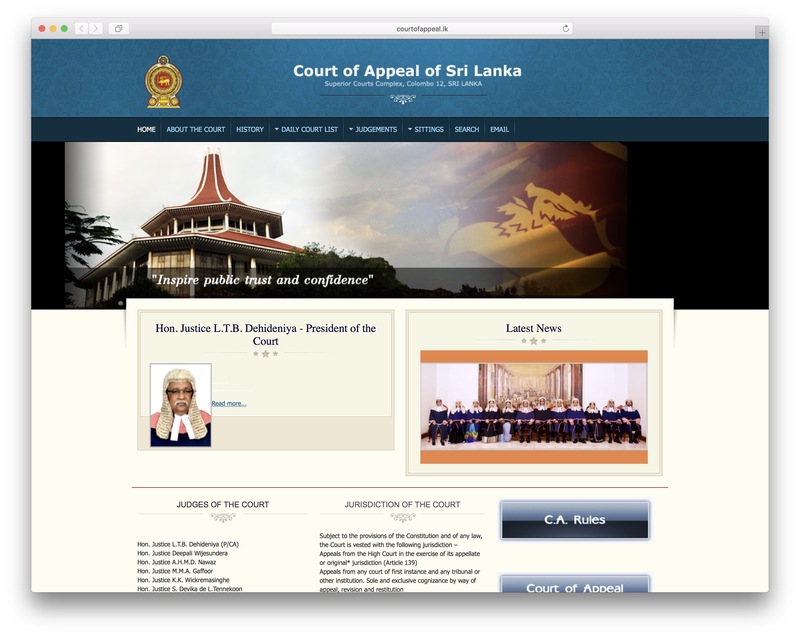 Download the 1st archive of the Court of Appeal of Sri Lanka, taken on 7th December 2017, here. Download 2nd archive, taken 2 October 2018, here. 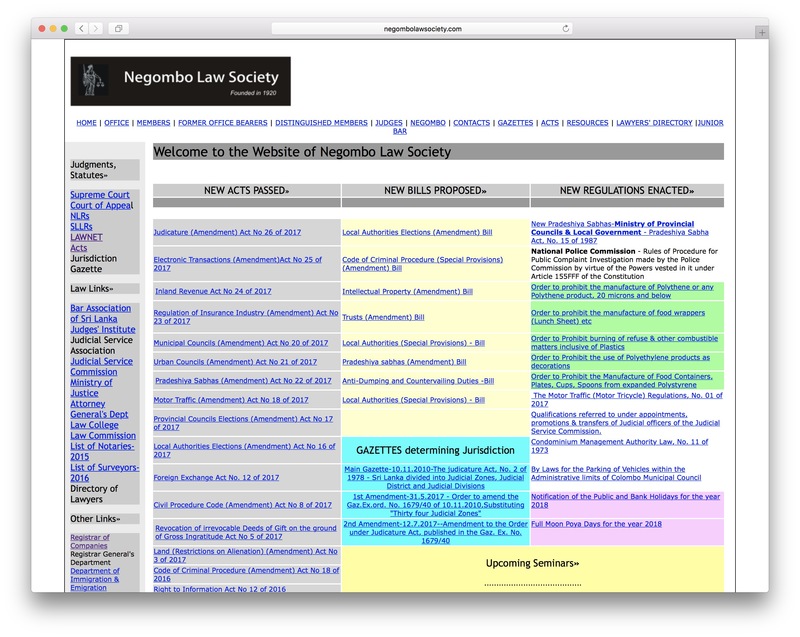 After a colleague on Facebook flagged the merits of the Negombo Law Society website, decided to archive it in order to provide easier access to a wealth of key resources. Access the site archive, taken on 8 December 2017, here.